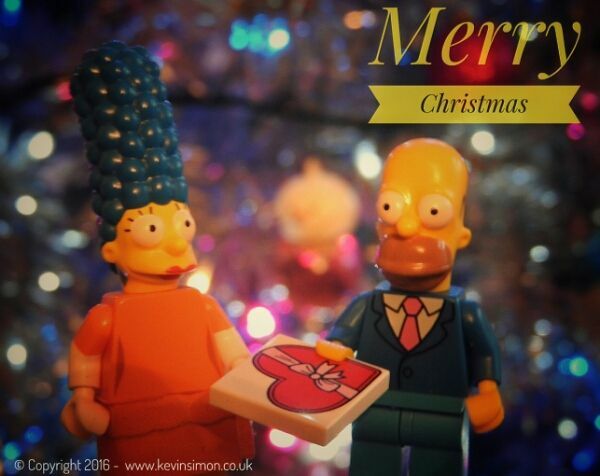 Homer giving Marge her Christmas present in front of the Christmas tree. Merry Christmas to to all my readers of my blog kevinsimon.co.uk , this isn’t one of the best photos I have taken, but still suit the occasion. This photo is part of the adventures of Lego mini figures in the real world, from just the mundane to visiting attractions, with all different characters, so if you like this photo please share or follow their adventures.